The time is always right to enjoy Formentera. But, once summer fades, precious few are aware of the island's many perks for wintertime travellers. 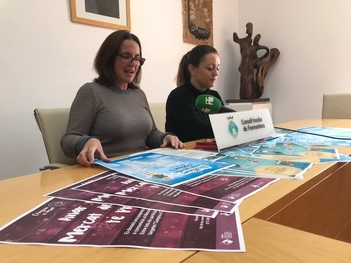 A good opportunity to discover them is Christmas, when the smaller of the Pityusic islands comes alive with a programme of activities that stretches into January. This year the Christmas season starts Friday, November 30, as does islanders' chance to check out the Sant Francesc Christmas market, or Mercat Nadalenc, and illuminated holiday decorations. The market, which will settle into its usual spot next to plaça de la Constitució, is conceived as a holiday meeting place and an amplification of the gift-giving possibilities available to Christmas shoppers. Mercat de Nadal 2018 kicks off at 6.00pm with the lighting of Christmas decorations, followed by live music. Three of the stands deal in retail—think wooden toys, T-shirts and anything else a kid can imagine. The other seven stands—dedicated to food and drink—are where marketgoers can decide whether they feel like German, seafood, kebabs or traditional fare. Stands are open from 11.00am to 2.00pm and 5.00pm to midnight and occasional live music performances are scheduled. This year's programme also features activities for the island's youngest. Plus, there will be colouring tables, and kids are welcome to pop in anytime.